Asus posted a ten second video teasing a new Asus ZenFone. The handset, which will be introduced at CES next month, will feature dual rear cameras. The video shows the two sensors and then shows the tag line, "See what others can't see. "So what capabilities will the dual rear cameras bring to the device? Right now, it is unclear although it is possible that it might allow users to change the focus on a processed picture similar to what is possible with a Lytro camera. Asus might also be planning to offer some of the same features that are available with the duo Camera on the HTC One (M8). While Asus plans on introducing more than one model at Las Vegas, one of the new ZenFones is believed to be a 5.5-inch phablet. 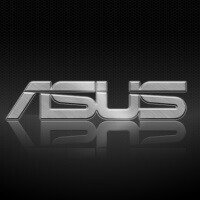 Additionally, Asus is said to be working on new variants of the ZenFone that do not use Intel chipsets. While we weren't able to embed the clip, we managed to put together a slideshow consisting of photographs from the teaser. Check it out by clicking on the slideshow below. I surly hope this isn't a copy of what my M8 does. It's a total waste of money on a second sensor that does nothing for me. You play with it twice and realize that you can do much better with any software program and can do the same thing with any single lens camera and the Google camera app. Besides, the lenses aren't far enough apart to make it worthwhile for blur or 3D, so I hope they are doing something much different that actually improves quality rather than adding a gimmick. The M8 is an awesome phone, but there isn't a much worse camera out there. After watching closely the video I think it's a 3 cameras set. One main and two assisting for the extra effects. I remembered that 18 (I think) camera array, what happened to that experiment? To me, the M8 duo camera simply does it better than what Google Camera app or whatever selective focus on the Galaxy S5 and some Nokia's app on WP can do. On the M8, you just snap any photo with the back camera and voila, the pic will be available for refocusing later. It snaps photo quickly, just like taking a normal photo. I took a lot of photos on my M8 when I still had it and I could always go back go change the focus. Not a gimmick at all. I've taken quite a few great photos with the M8's duo camera, and I would never have been able to take those same photos with the Google Camera apps. Moments don't just stay there waiting to me to switch to Blur or whatever it's called feature and move my hand around. They come and go. I know what you mean about getting the two shots at the same time being nice, but the quality of the final picture was better on my S4 if the scene was static. As we all know ultrapixel was the biggest mistake, but selective blurring just isn't worth the extra hardware in my mind. How often do I want to blur what is already sharp (since that's all it does). It doesn't actually have multiple focal points. I'd be more impressed with 2 separate cameras that always focused on different subjects and then joined them for greater depth of field, that wouldn't just be a software trick. Or with HDR from two lenses that combine bright and dark shots at the same time instead of the slight ghosting we currently get. (I think this is more likely what they are doing since the lenses are so close together) Or with higher quality images by using the slight offset and pixel interpolation to render more detail. (weren't they trying to do that with sensor shift?) Or having a completely different sensor that didn't separate RGB and instead only luminosity without all of the filters and then combined that with the RGB sensor for improved low light performance when recombined with the color data. Point is, there's a lot that could be done to make better images and not just add a filter effect that we hardly ever use even when we have it. The camera software will a very important aspect of this phone. Hoping for a similar price point as the current zenfone series. Actually, their ZenFone line has amazing value for money, and they have a pretty good design too, minus the huge bezels. Huawei Honor 6 Plus shows us what potential this can have.. who will be the first to 4 rear cameras. Is it possible that maybe those are infrared lights for night-vision? because that would make sense with that slogan "See what others can't see"
I think we can cross that out. Using flash would yield to far better pics than night-vision pics anyway. But yeah, it does fit well with "See what others can't see". Yeah, I think I agree. Why only get night vision mode with a flash that is no stronger than a regular flash when you could have had full color. That would be too much cost for a seldom to never used feature just like the M8. It's not dual cam, dual led flash above single back cam also volume rockers on the back. Power button on the top. Also it's shape and material choice reminds me G3. They've been using that "shiny spiral" material since 2012 or earlier. For clarifying my intention wasn't accusing them if it sounds like that. I mean it in a good way. I'm eager to know their specs. Seems to me on the back there are Intel inside logo. If that's true I suppose it could have 64-bit Atom Merrifield or Moorefield. Former is less likely. Considering Jiayu S3, it could have FHD display and 3GB RAM. Again former is less likely. I don't care if they even add 10 cameras, as long as they ditch Intel (which is gives horrible battery life) for Qualcomm, it might sell well. If it is using Intel chipset Real Sense camera might be what's on the back. Its a real game changer able to take 3D measurements in real time and some gimmick like the other phones.